A washing machine and dryer are two of the most essential appliances in a house, not to mention two of the most expensive. Whether you're putting your appliances in storage for three months, one year, or longer, the goal is to take these appliances out of storage in the same condition you placed them in as. Learn what steps you can take to protect your washing machine and dryer. Begin the preparation process early. For example, you don't want to start planning for a Friday move on a Thursday. Getting an early start will prove critical to keeping rust and mold development at bay. Washing machines and dryers are naturally humid environments. If you run a cycle and don't provide adequate time for the inside of these devices to dry, mold may form and rust can quickly spread, both of which can cause permanent damage. 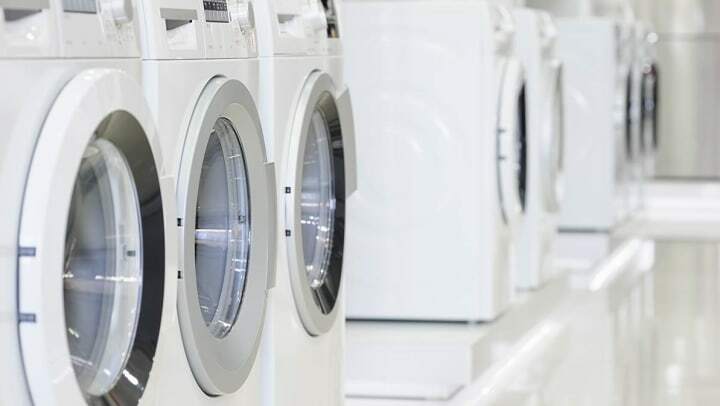 After running your last cycles in these appliances, allow the machine to rest with the door open for a period of at least 24 hours to allow plenty of time for the inside to dry thoroughly. A washer is a cleaning machine, but this does not mean it's clean. A single load of only undergarments introduces nearly 100 million E. coli into a washing machine. Consider just how frequently you wash, and it becomes clear that there are all sorts of bacteria inside your machine. Any bacteria left behind inside the unit can multiply; especially in a humid environment. A clean cycle will also help remove any built-up detergent that can harden and cause internal damage. To clean your washer, run a hot water cycle without detergent, but you may put a small amount of vinegar or bleach in the dispenser to deodorize the inside of the machine. To clean your dryer, remove the lint tray, clean it, and allow it to dry before replacing it. All manufacturers have their own set of guidelines for disconnecting their units and preparing them for transport. You must read your manual to ensure you're going about this process the correct way. For example, many front load washing machines require shipping bolts for transport. Shipping bolts keep the washtub from slamming around during the moving process, as too much movement may damage the machine's suspension system and prevent it from spinning correctly. If you don't have the original bolts, you should be able to reorder a replacement set. You also need to read the manual for specific instructions on how to properly remove all hoses and electronic connections before transport. Set aside a few moments to prepare the storage unit. You never want to store a washing machine or dryer, or any large appliance, directly on the floor in a non-climate controlled unit. As the temperature goes up and down inside the unit, condensation can form on the underside of these appliances, which may promote rust development. Install pallets that can safely support these appliances and securely place the washer and dryer on top. If there isn't space for pallets, sturdy cardboard is just as helpful. Additionally, ensure you're leaving plenty of space around these machines. You don't want them to come in contact with any other objects that could dent or scratch their surfaces.